Fashion Polish: Chanel Morning Rose Summer 2011 "Les Fleurs d'été"
Chanel Morning Rose Summer 2011 "Les Fleurs d'été"
This summer Chanel will release it's new cosmetic collection "Les Fleurs d'été" which will include 3 nail polishes : Mimosa, Morning Rose and Beige Pétale. Chanel Morning rose is a summery coral pink shimmer packed with gold flecks. 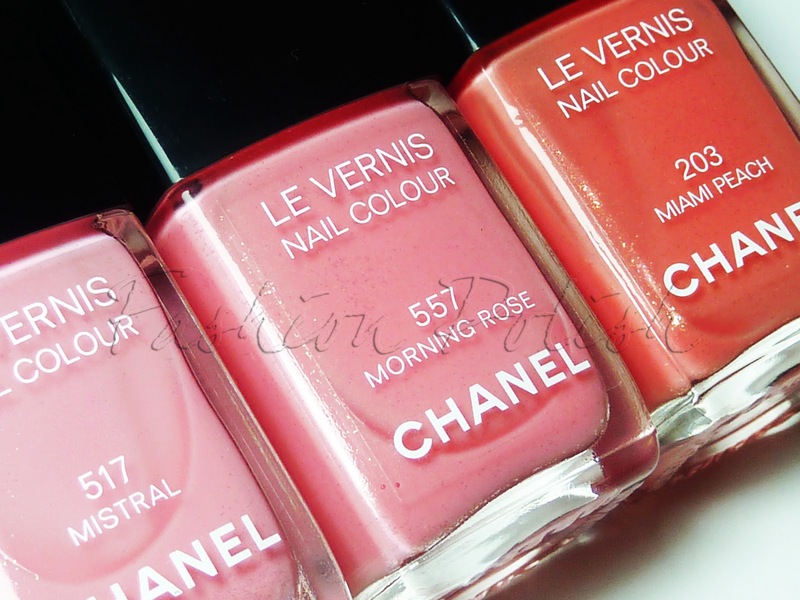 I decided to compare it to 2 other Chanel nail polishes, Mistral and Miami Peach because if they had a baby, it'd definitely be Morning Rose! Same formula as Mistral, same shimmer as Miami Peach and a base color somewhere between those two. In terms of opacity, it required 2 to 3 coats to eliminate VNL (Visible Nail Line) which is exactly like Mistral, Miami Peach on the other hand is a bit more sheer and the third coat is a must to achieve full coverage. 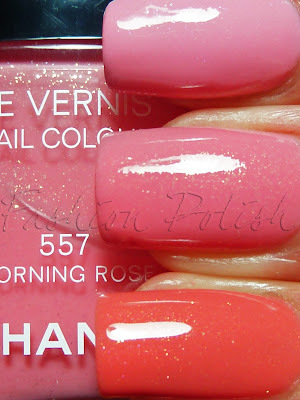 Wow, this is the first Chanel shade that I've loved in a long time. 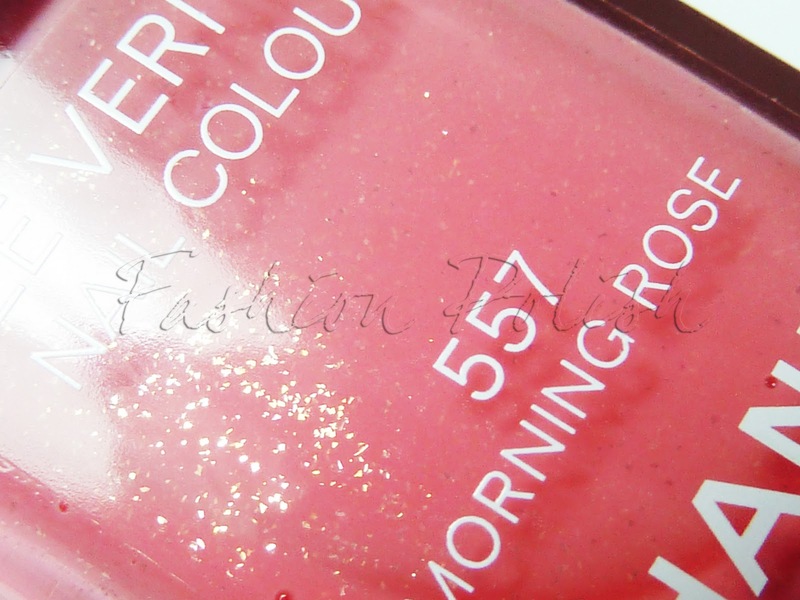 It's such a warm, slightly peach pink & the shimmer is beautiful. It really looks beautifull on you! Great swatch! Cool !! Mais comment fait tu pour dénicher ces vernis en avant première ?!? So beautiful. Not a "strange" color, but definitely one I would buy!